Brian M McGarvie - Brian M McGarvie talks about … life and experiences in IT … and personal adventures and experiences and other odd things! 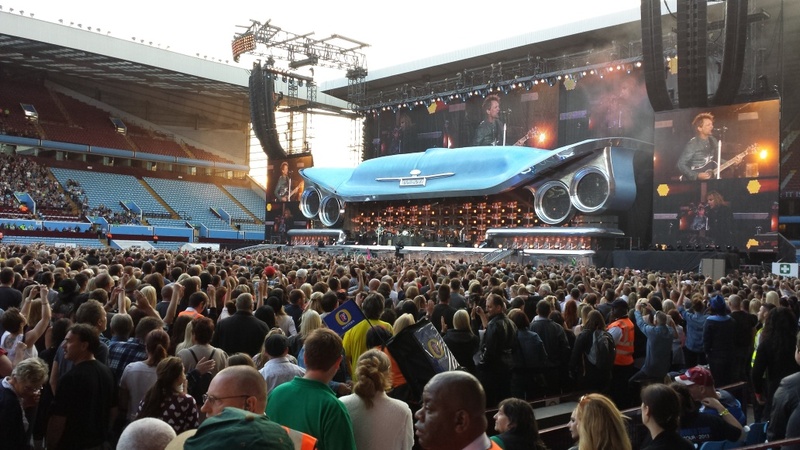 For our first concert of 2016, we were lucky enough to get a couple of late-release tickets for Muse Drones Tour 2016, Barclaycard Arena, Birmingham on 2nd April 2016, which was the first night of the UK leg of Muse’s Drones tour. Opening the evening was Nothing But Thieves who done a great job of getting the crowd warmed up and seems like a good band to keep an eye on for the future. 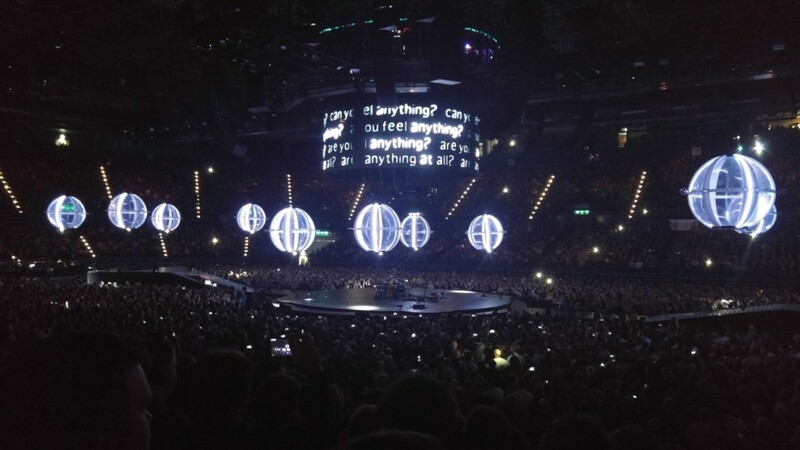 Muse performed in the middle of the arena with on a circular stage, it’s hard to describe the experience of the 360 stage and it’s immersiveness, and of the use of the amazing flying drones and floating 3d projections. 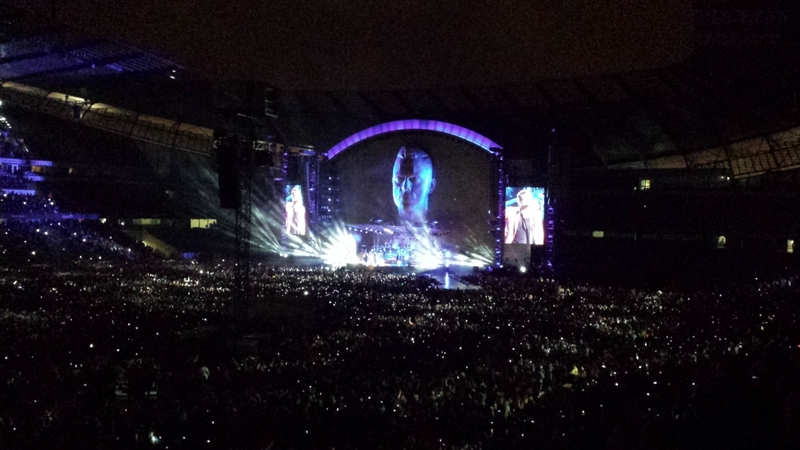 It was a spectacular stage for a spectacular evening of rock. Another thing to note with the position of the stage was the sound was much better than the normal arena set up which was deep and clear which is sometimes muffled and lost. 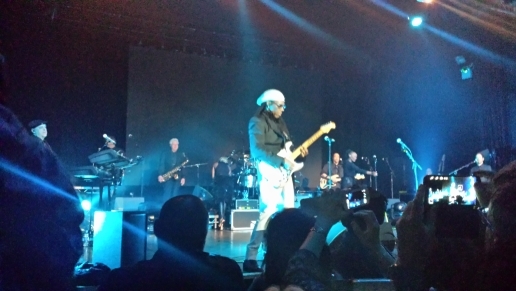 A very funky evening with Chic/Nile Rogers opening with Everybody Dance until finishing with Le Freak and a party on-stage to Good Times! Having seen and enjoyed Chic at V Festival at Weston Park in 2014, we were excited to get some last-minute tickets for this and thought if they were as good as at V Festival then I would be happy. They were much better then they were at V Festival and enjoyed it with a more appreciative crowd of attendees and it was a privilege to watch a more personal performance in a ‘small’ venue sucvh as the O2 Academy, for which we visited for the first and (based on our experience) not last time! Secure Password Generator – revamp! Improved layout and strength indication – you can even enter an existing password to check it’s strength. I’ve always liked Hugh Laurie from the days of Jeeves and Wooster, Blackadder, House (of course) and his occasional foray into film. It’s not often you do get to see people like Hugh, and so, when tickets to see him with the Copper Bottom Band were announced I had to get some. He did take a while to come on-stage and did blame nerves when he finally cam on, but when he started he couldn’t stop… We were treated to two encores and the audience was still asking for more, and I think he would have done if allowed! He and his music was/is infectious and indeed we carried on listening on the drive home! Hugh’s singing itself is pretty decent, but it was the strong vocals, and exceptional band to back him up that really made the whole thing shine. Laurie is clearly an accomplished pianist but the piano never took centre stage and for the majority of the show he let the talents of his fellow musicians on the trombone, saxophone, guitars and drums lead the way. In between the music he interacted with the crowd with comic banter – almost as if we were in a pub somewhere, and even treated the crowd to a tango. 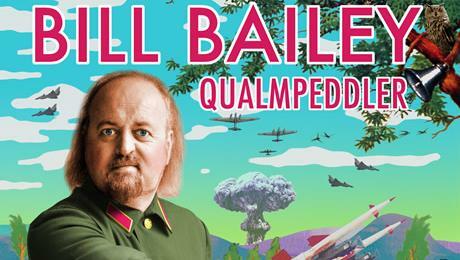 I’ve always liked watching Bill Bailey on TV, mainly for the musical humour as well as briefly watching him on QI etc. and obviously Blacks Books. So it was for my birthday that I was presented with tickets to see him on the 15th June 2013 at Wolverhampton Civic Hall. 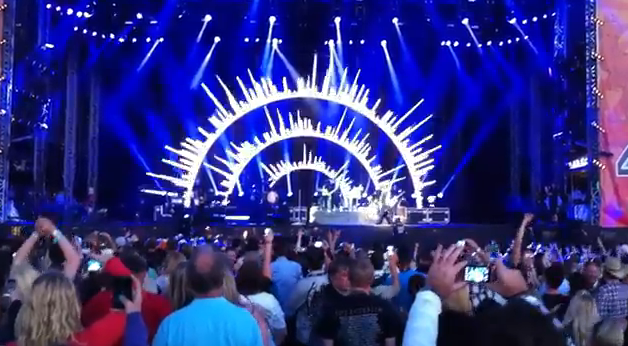 The set was amazing, before a single guitar had been strummed it was looking like it would be an amazing Bon Jovi show! After an amazing 3 hour set we were not disappointed. Opening with That’s What the Water Made Me (a track from the new album What About Now) instead of one of their stable old classics. It was clear not all were yet familiar but it was a bold decision non-the-less. This was followed by a slightly more well known song – You give Love a Bad Name… and as soon as the opening chords were played the stadium became alive. Our Hawaiian Cruise (and visit to Los Angeles) on board the Golden Princess Cruise November-December 2011. During this trip we visited the Hawaiian Islands and spent a few nights in Los Angeles on the way back. OK, it’s taken me over a year to finish writing this up – keep not finding time to do it! I will add some photos in the next few days. Over time, the websites I have been involved in have became more and more complex (and indeed carry more and more traffic). And so the ever increasing need to optimise and increase the performance of your website (or web-application) becomes more crucial. Working with Dates and Timestamps is always trying, but using UNIX timestamps can save you a lot of time and hassle! Calibrate HTC Desire battery – help improve your battery life! Get element with CSS class name or id with jQuery, jQuery is extremley powerful and a time (and even life) saver, using jQuery, you can get elements with CSS class name and id easily without too much blood and tears!